The only musical Chichester Festival Theatre is presenting this season is Cole Porter/Sam and Bella Spewack's Kiss Me Kate which will open on 18th June and run until September 1st. It will be directed by Trevor Nunn, choreographed by Stephen Mear, designed by Rober Jones with Gareth Valentine as the musical director. 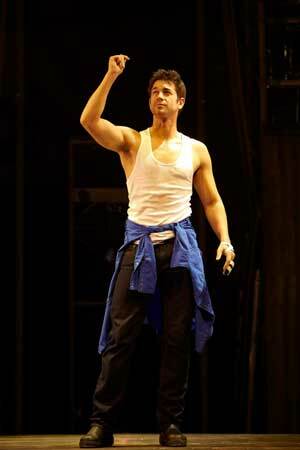 The only casting announced so far is that Adam Garcia is playing the role of Bill Calhoun. Garcia has a number of West End theatre credits including playing Doody in Grease,Tony Manero in Saturday Night Fever, he created the role of Fiyero in Wicked!and starred in the musical dance show Tap Dogs. He has extensive film credits including Wilde, Coyote Ugly, Confessions of a Teenage Drama Queen, Bootmen (based on the Tap Dogs story), Riding in Cars With Boys and Standing Still. Television work includes Doctor Who, Britannia High, Mr Eleven, Hawthorne and most recently as a judge on the Sky reality show Got To Dance and as himself in Heston’s Titanic Feast.